It’s not every day you run into a giant puppet. We repeat, A GIANT PUPPET. The larger-than-life 'String Symphony' activation is part of a month-long, theatre program that’s hitting Melbourne this September called 'World On A String'. Celebrating the weird and wonderful world of puppetry, through various forms, including marionette, black box, shadow, and musical cabaret, the program is a spectacle, to say the least, and certainly one for art aficionados and families alike. Did we mention you have FULL CONTROL of the GIANT PUPPET?! (Sorry, we’ll stop with the caps now). 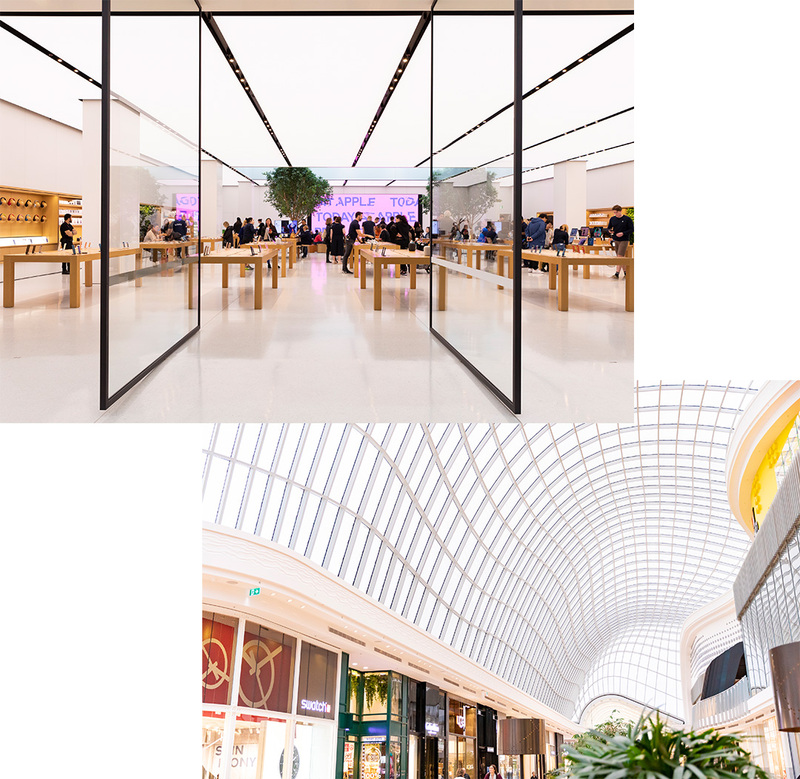 But if that’s not enough to tempt you (but, let’s be real, it totally is), here’s what else you can do at Chadstone – The Fashion Capital. The giant, interactive four-metre puppet is only the beginning, people! During September, there’ll be an abundance of theatre performances peppered throughout the precinct, featuring internationally acclaimed acts from Spain, America, London, Argentina, as well as our very own Australian home-grown talent. 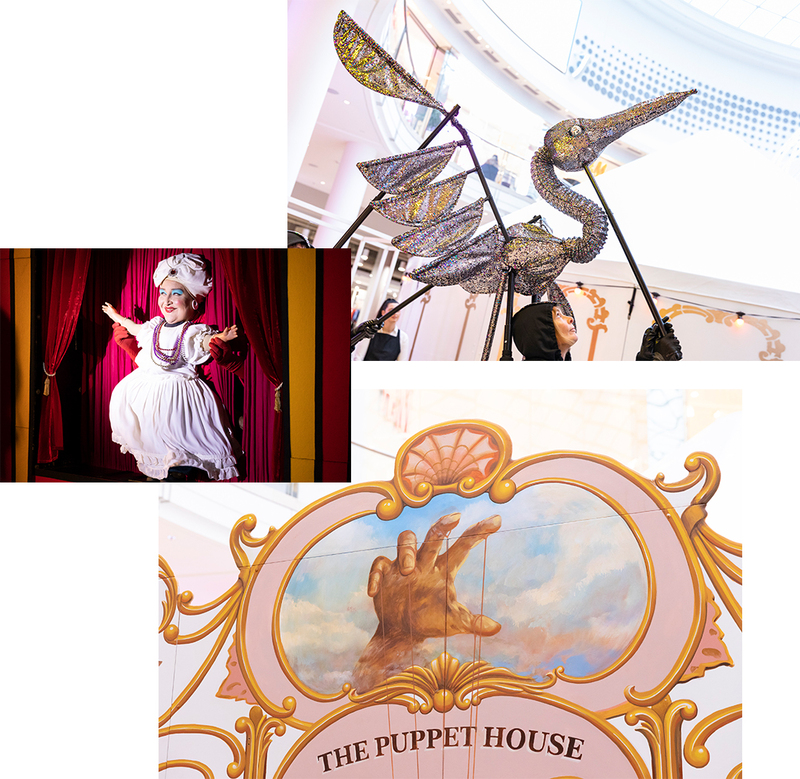 Roam around and explore all the whacky and enchanting, Victorian-inspired puppet theatres; with half-human dolls and shadow puppets made from household junk - it's a total feast for the imagination. One noteworthy performer is Phillip Huber. Most widely known for his work in the three-time Academy Award nominated film, Being John Malkovich (no biggie), Phillip’s puppet performances are next level and highly revered (and free!). Dinner and a show? Why not? You deserve it. And when it comes to culinary choices, Chadstone has ‘em in spades. The dining terrace is where it’s at - but a word of warning: choose wisely, because there are some seriously good selections exclusive to Saturday nights. If you haven’t tried Woodstock Pizzicheria's exclusive 'Pizzamisu' - Tiramisu pizza, get it? - have you even lived?! Fonda's 'World on a String' $55 menu-for-two features tortilla crips, market fresh fish tacos, roasted sweet potato quesadillas and 'The DBB' to finish up (aka chocolate brownie topped with cinnamon cream, chilli chocolate ganache, ginger nut soil and vanilla bean ice cream). From cheesy burgers at The Burger Project (add on a $2 soft serve, just 'coz) to Dashing Donuts' $5 minis sprinkled with strawberry, vanilla, chocolate and sprinkles (duh), Chadstone is seriously a foodie haven. And don’t forget to finish on a tasty tipple because, well, Saturday. Oh, and did we mention New Shanghai has $10 thirst-quenchin' cocktails every Saturday throughout September? You're welcome. Editor’s note: This article is sponsored by Chadstone - The Fashion Capital and proudly endorsed by The Urban List. Thank you for supporting the sponsors who make The Urban List possible. Click here for more information on our editorial policy.